Parking is located in the adjacent parking lot to the restaurant. Ardmore train station is less then a block away. Besito, translated as little kiss, strives to delight guests with the warmth of a private hacienda offering thoughtful details and cuisine. 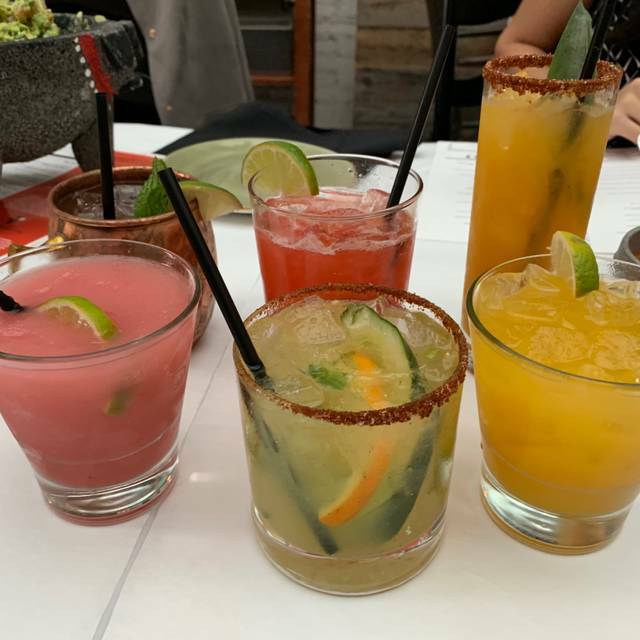 Besito was rated “excellent” by the New York Times with its dramatic eucalyptus-beamed ceiling that embraces all the flavors and festivity of Mexican cuisine. Enjoy fresh, table-side guacamole and over 75 tequilas all straight from Mexico. Ask your server about our extensive Tequila list! Made from the fermented distilled sap of the piña, or the "heart" of the blue agave plant. Enjoy them slowly and respectfully. Add $1 for margarita. Homemade Sangrita, a classic Mexican palate cleanser, served with every selection. The ambiance and atmosphere on a nice Saturday night was awesome. Windows were open, outside dining, lots of friendly and happy people. 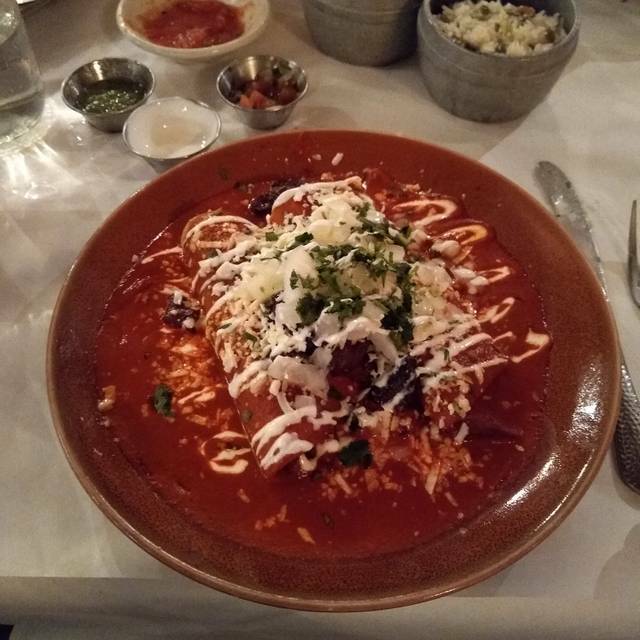 Our food was pretty good, not somewhere I’d send my most picky foodie friends, but fair and decent Mexican food. I’ve had the guacamole once before and it was soooo good. This time, it was honestly very bland and bleh. No “love” when making the guac. 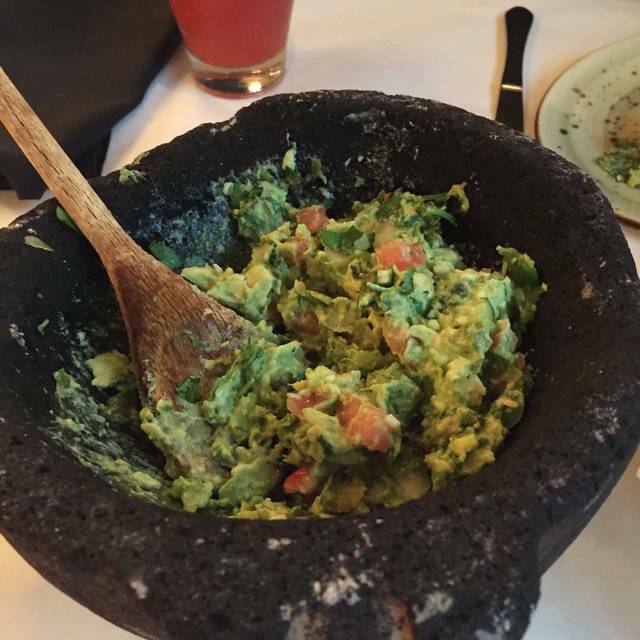 Our server wasn’t very good, so he prob didn’t put much effort into making our guac. He didn’t refill waters, check on our table, or anything. We had to ask multiple people for forks to be able to eat our entrees. Overall, I probably would only return for drinks and go somewhere else for dinner. Fantastic. Closest thing to real interior Mexican food in the area! The table side guacamole was s outstanding as is the street corn! We arrived a minute or so late due to parking for our reservation. But when we arrived it took a bit to get seated, but the host was helpful in the process. Once seated, we waited. And waited. And waited. We were there with enough time to have happy hour. But we ended up waiting 25 minutes to get water, that was given to us by the host. She told us that the server would be with us shortly. But it took another 5 minute for the server to come to us. By this time, tables who arrived after us were being helped before us, and were able to put happy hour specials in. But the server finally came to us, we asked about putting in happy hour specials. And he told us we were no longer able to....so we left. I’ve been to besito before and have had excellent experiences, but I don’t know why this time it was so horribleI don’t know if I’ll be going back. Four people in our party and not one person felt that their meal was ok. I had hoped that they had improved since I had lunch there, soon after they opened. 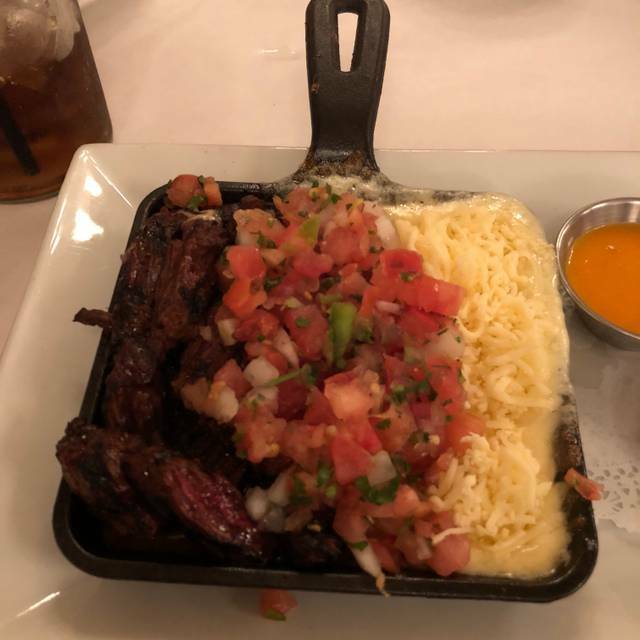 The food was one step up from tex mex fast food and the service was just ok, other than the tableside guacamole which was prepared well. My husband, son and I went for my birthday dinner and had a very nice dinner. we had a delicious lunch at Besito this weekend. It is a beautiful restaurant and with friendly service and delicious food. We had guacamole, emapanadas, sangria, chili relleno and enchiladas, street corn and plantians as well as mini churros. The only dish I wouldn't give 5 stars to would be the empanadas. They were not bad, but they were dull compared to everything else! I can't wait to go back. 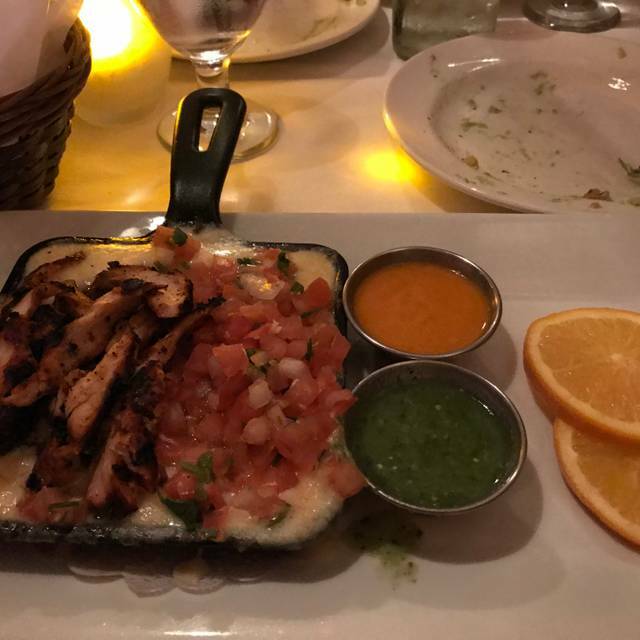 We've eaten here before and enjoyed the table-side guacamole, but this time, my salmon was under-cooked and sat upon some very black horrible tasting sauce. I had to send it back and ordered the crab cake salad instead. My boyfriend asked me where the crab cake was on the salad. I pointed to the 4 black blocks. The coating on the crabcake was black and HARD! Inside was some red stuff, looking nothing like fresh crab meat. I couldn't eat it. Gave one to my boyfriend (he can eat virtually anything) and left the rest on the plate. Terrible! Although my boyfriend said his shrimp dish was ok, we won't be back. We were there to celebrate a family memeber. The food, presentation, ambiance, and service made our small event feel VIP. Muchísimas gracias por todo. Vamos a regresar muy pronto and más a menudo. Liked the the atmosphere of the front room of the restaurant (wall of candles is very pretty). Service was friendly and fast, and the waiter gave us good recommendations for drinks. Delicious street corn and fresh guacamole. Entrees were good, but we ordered a standard item (steak taco and chicken enchilada). Fresh cocktails, get the partido natural margarita with fresh lime and no sour mix. Wonderful food. Love the staff. Delicious dinner and fun celebration for a birthday gathering! Caroline was an awesome server. In the area where we were seated, the noise level made it difficult to converse. Everything other than that was excellent. We all loved our dinner salads. Great margaritas. Always great. We will keep coming here. Can't wait for the warm weather and the outside patio! Eduardo was the perfect server--great balance of warmth and professionalism. This restaurant seems to have gone downhill since my last visit. Food was nowhere near it's previous quality. Even the churros given to us at the end of the meal were a bit overcooked. For a party of seven to be stuffed into a booth with a practically empty restaurant was inexcusable. I will take responsibility for not speaking up about that. Food wasn’t hot, platanos were overcooked and our order was incomplete. It was still good, and the guitar player added to a great atmosphere. Just needs a tune up - usually it’s a 5 star experience. Per usual, the food and service was Delicious! I absolutely Love Besitos!!! Keep up the Amazing hospitalit! Oh and please keep Ricardo....he’s the Best! Besito Mexian es muy beuno. Loved the atmosphere, food and service. Will return to Besito on Cinco de Mayo and likely beforehand. Perfect for girls' night out or family dinner. Bar waiter was excellent. Table waitress messed up my order and seemed frazzled. Great food. I think this place gets better and better. Would like to see more salads, not necessarily fancy. I don’t need all the additions. I love the atmosphere. It’s fun. Families and all age groups welcome. friendly staff, great food, tableside guacamole is a nice touch. This place is excellent. I would absolutely recommend. Thank you! Great restaurant with reasonable rates both for food and drinks, the margaritas selection is awesome and so if the food. Very tasty and catering to all types palates...from mild to super spicy. The service is top-notch and they take great care of families with kids too. Overall one of the best group dining experience for us, party of 8 with 2 toddlers were not disappointed...highly recommended!! PS Don't leave without trying the passion fruit spicy Margarita...its legit!!! Always a favorite. We love Besito. Great food. Not your typical Mexican menu. Can't wait for the warm weather to sit out on the patio. Besito brings a taste of Mexico, and a festive environment to Ardmore, PA. The chips and guacamole (made tableside) are perfect, each chip light and never greasy. It's hard to resist them, but you should or you won't be able to eat your dinner. The salsa that comes with them is frankly a let down, not attractive or as excellent as the chips themselves. 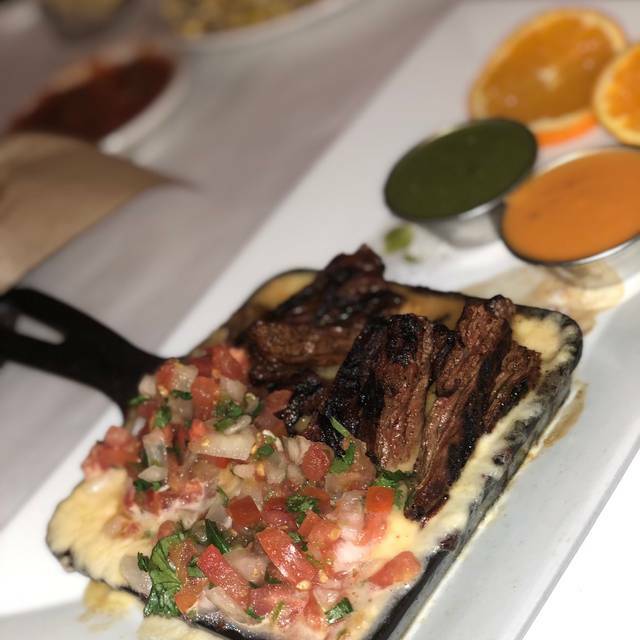 We ordered the Salmon with molé and the Arrachera and Camarones - skirt steak and shrimp sauteed with a fabulous sauce. Both dishes came with Plantains (which I always thought of for Cuban food, but why not?). The Salmon was grilled to perfection, topped with a long, crispy plantain chip, but the star is their molé, I could write pages about it's depth of ingredients, just take it from me, it's authentic and it's delicious. We were very happy with both dishes. I ordered the Mexican Mule, tequila instead of vodka. Very good, but our server seemed intent on making sure we ordered a number of drinks - this is my only complaint. If you're looking for upscale Mexican, not taco truck tacos, this is the place, well north of Mexico, but still very bueno! We arrived at Besito about 5 minutes before our reservation. The hostess told us it would be a couple minutes, so we went over to the bar to grab a drink. When we went to check in on our table, the hostess explained she cancelled our reservation. We ended up waiting 50 minutes for a table and were told we would get a discount on dinner. However when the check came, we were not given a discount. Great food, but service wasn’t great last night. After trying Besito 3 times, I've decided I won't go back. Their guacamole is delicious and is the high point of their food. The fish tacos were overcooked, over-cheesy and under seasoned. The sides were blah. The first time we went, my husband and son's entrees were swimming in oil. The decor is really cool and the service is good. But not enough to make up for the disappointing food. Amazing food, service, ambiance. Going back soon!! Went for my daughters birthday. The experience was excellent, especially Eduardo. He was extremely attentive and accommodating, and even gave us a lesson on Mexican culture. We have been to Besito many times and really love it. I had a wonderful experience at Besito. The waiter we had was very attentive and I love that the guac is made in front of you. My husband and I went here for a belated Valentine's Day dinner. It was an impulse idea that turned out very well. 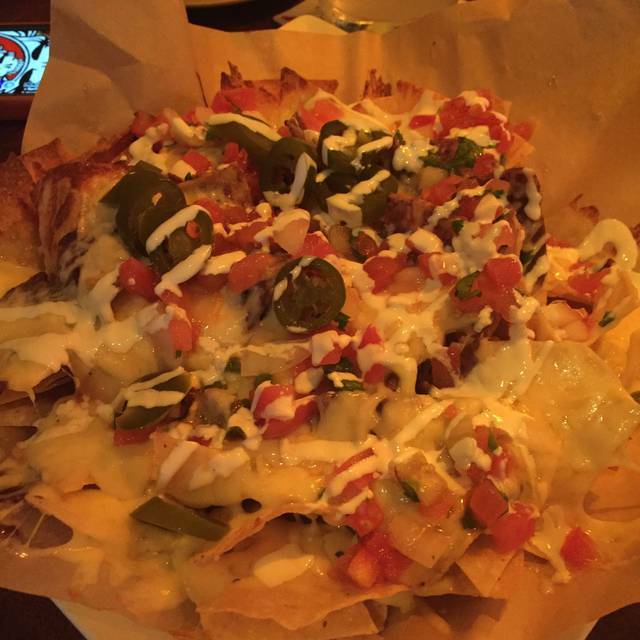 While we reviewed the menu, we snacked on the thin and crispy tortilla chips and salsa. The classic margarita and beer accompanied our appetizer choice of Mushroom Empanadas. 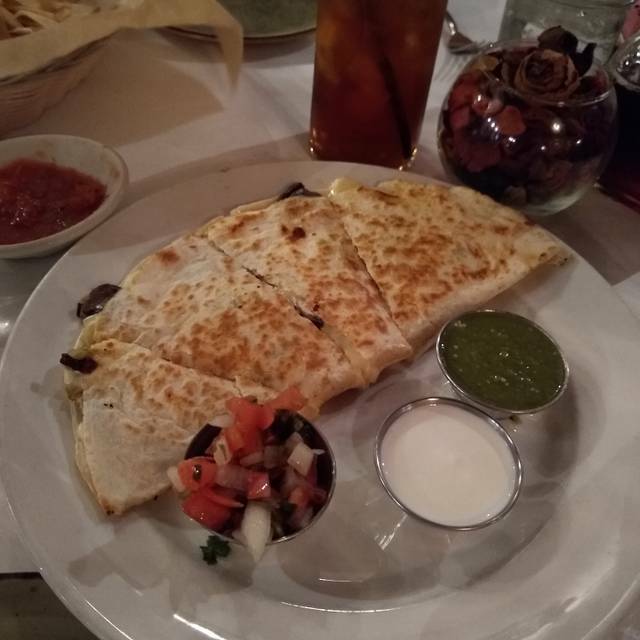 Our dinner entrees were fresh, hot and filling....Budin de Mariscos and Vegetable Quesadillas. The sides of rice and black beans were very creamy and tasty. We asked for 'to go boxes' so that we could complete our meal with ChocoFlan and cappuccino.